The first thing that grabbed me with this book was the title: A History of the World in 21 Women. 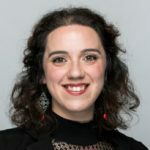 As a woman interested in the historical legacy of other women, and now especially with a daughter of my own (named after the Mexican artist Frida Kahlo, who makes Murray’s list), I am always interested in reading about these unsung heroines of history. Jenni Murray is a journalist who has called attention to the lives of women through her broadcast on the BBC Radio 4’s Women’s Hour and through her other books, including A History of Britain in 21 Women. Her History of the World in 21 Women provides a look at the lives of twenty-one women, each of whom has, as Murray puts it, “faced seemingly insurmountable obstacles to achieve her ambition, regardless or her colour or class.” In her introduction, she notes the importance of these women in their respective fights for justice, focusing on universal suffrage. 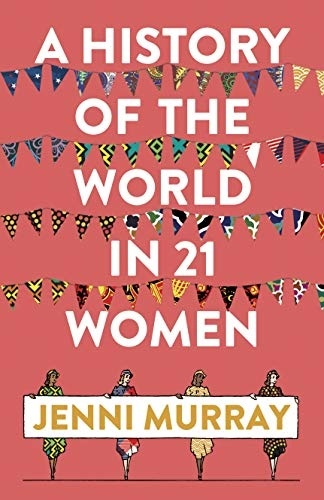 Jenni Murray provides her own personal list of women for this book, and even for those of us who have an eye to the women of history there will be a few unknown names. 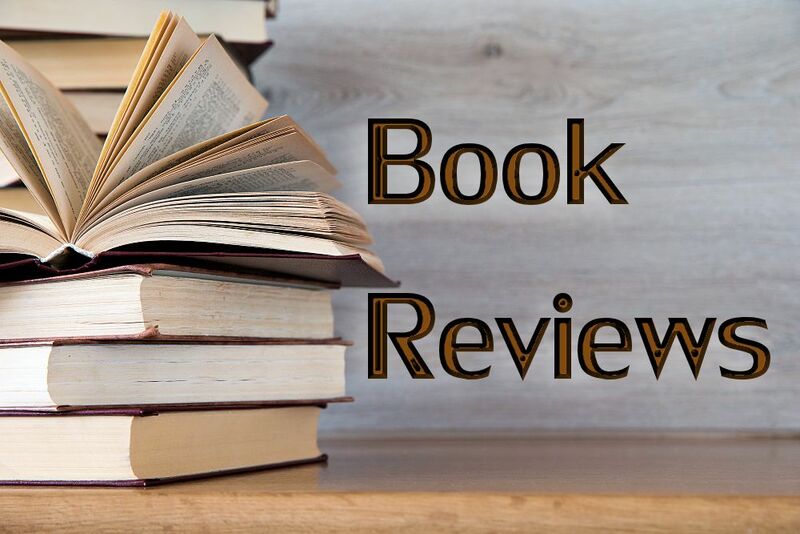 Murray goes chronologically though history, usually beginning her chapter with a present-day anecdote of why she was drawn to each woman or how that particular woman has woven her way into her life. These stories provide an insight into Murray’s decision-making in forming the list and made me wonder who I would pick. Some of these women she has admired, some she has recognized for their historical significance alongside their problematic legacies, and some she has had the pleasure of interviewing herself. The list is not exhaustive and seems reasonable at first glance with an eye to cultural diversity, global spectrum, and subject matter. The women themselves also come from a wide range of arenas, ranging from government to science, music to fashion, writing to sports and more. Overall, Murray casts the net wide with her choices of women. Yet, it is clear that Europe is the reigning continent from which she pulls the women, taking up ten of the twenty-one spots. There is not one woman from South America or Central America. While the list is her prerogative, I find it worrying that there is not one woman from an entire continent that could make the list. In the first half of the book the women are all from before the twenty-first century, from Pharaoh Hatshepsut born in 1500 BCE to Frida Kahlo born in 1907. These women showcase incredible strength in surpassing the patriarchal stranglehold that gripped their lives and sometimes followed them to death, like Joan of Arc, the subject of the second chapter. The woman whose story touched me the most in this section was Artemisia Gentileschi who was an artist in the Italian Baroque era, whose trauma invigorated her art. She painted intense biblically inspired pieces that showcased the strength of women. The second half of the book is focused on the twentieth and twenty-first centuries with women who are still living or who made their mark in the last one hundred years. One of the most intriguing women that Murray wrote about in this section was a Russian journalist, Anna Politkovskaya. I had never heard of this woman, but as her chapter went on it was clear that journalism for this woman could mean life or death. Truth telling was more than a bumper sticker or state of mind, it was a career and one that had disastrous consequences. Overall, I enjoyed the book with Murray’s easy-to-read conversational tone. As someone who knows a lot about a few of these women, it was clear that Murray made some editorial choices about what to highlight in the life synopses, which made sense. She provides a wonderful resource at the end of the book with her key texts for each figure that allow for the reader to dive deeper. There are a few controversial figures in the book that have had seriously problematic ramifications to their actions, like Isabella of Castile, which Murray acknowledges. Yet while acknowledging their faults and serious ramifications, she still finds redeeming qualities about them. I do appreciate this gesture, but is this necessary, and are there other women that could have filled these spots? While I agree that problematic figures have shaped history, I feel that she could have been more critical of these figures. Just because a woman shaped history does not mean she left it better than before., To quote from her chapter on Margaret Eleanor Atwood, “Women don’t have to be gooder.” I also take issue with there being no woman from South or Central America, both of which are home to thousands of years of history. Nevertheless, even with the issues I noted, I would still recommend this book as an “easy read” before bed. I enjoyed reading about these strong women, and it made me remember as a woman in the world, I (and my daughter) are part of their great legacy. Click here for an important FTC disclosure statement.